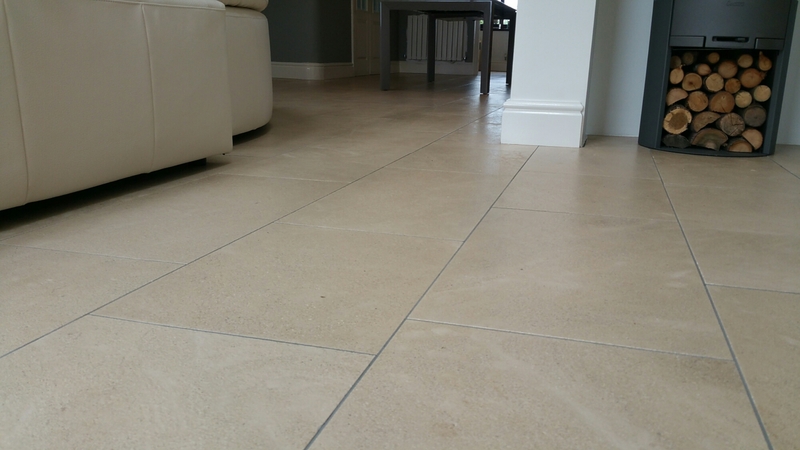 Limestone Floor can over build up with dirt from foot traffic and general wear and tear. 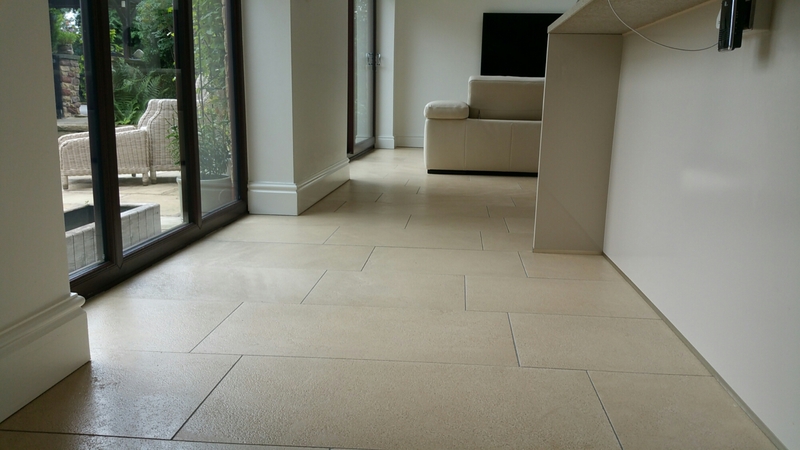 Limestone and all natural stone require maintenace every bow and then just like your car has an MOT and service. 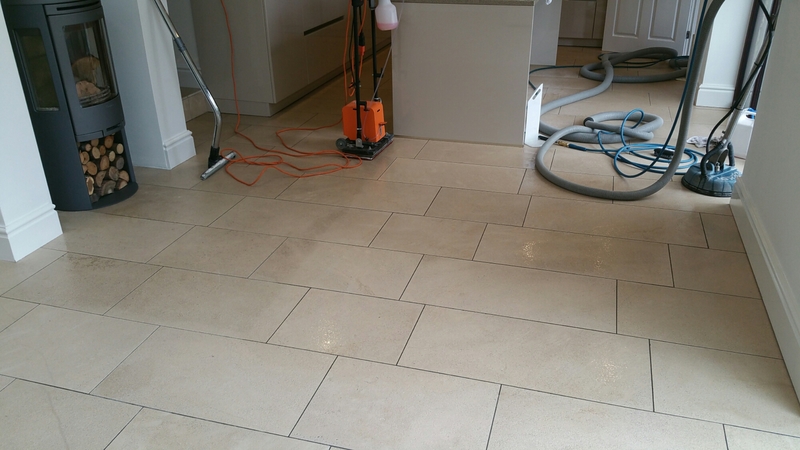 A deep clean and top up of sealer will help keep your floors looking great for many years. 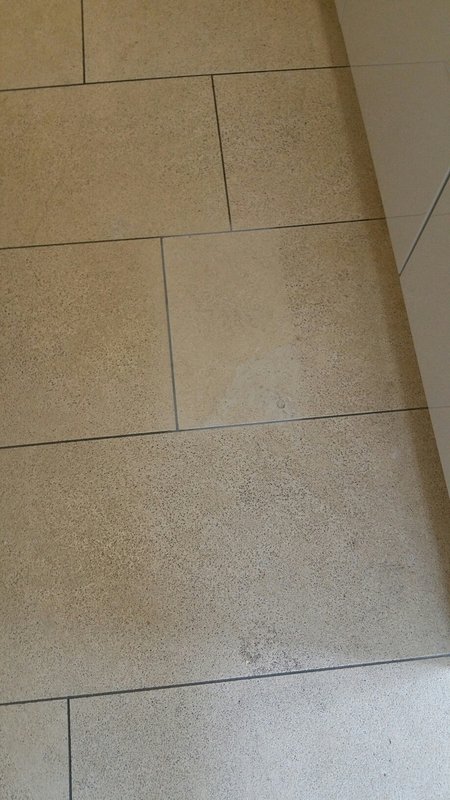 Here you can see the FREE test patch we carried out for the customer to show the results we can achieve. From this the customer was happy to proceed with the work and a full deep clean, and matt or natural finish sealer was applied. 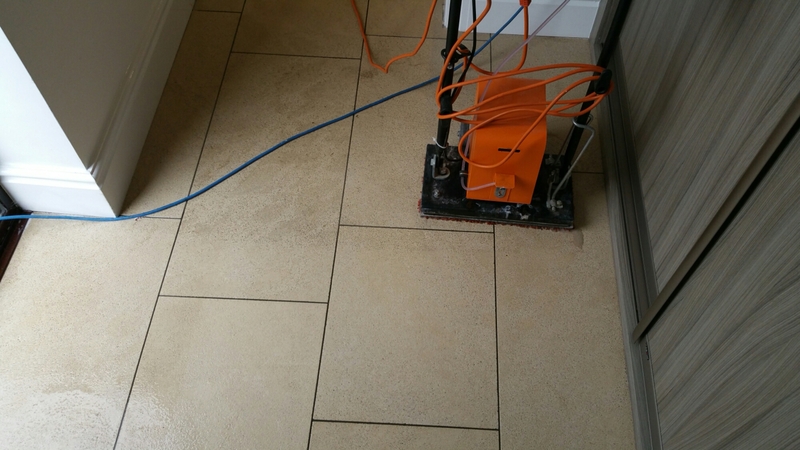 To help deep clean the grout and tile we also use out specialist high heat and high pressure rinse. This process blast away the dirt and vacumms it back to a machine on the van. Once all the floor is cleaned,we apply a sealer to make it oil and water repellent. 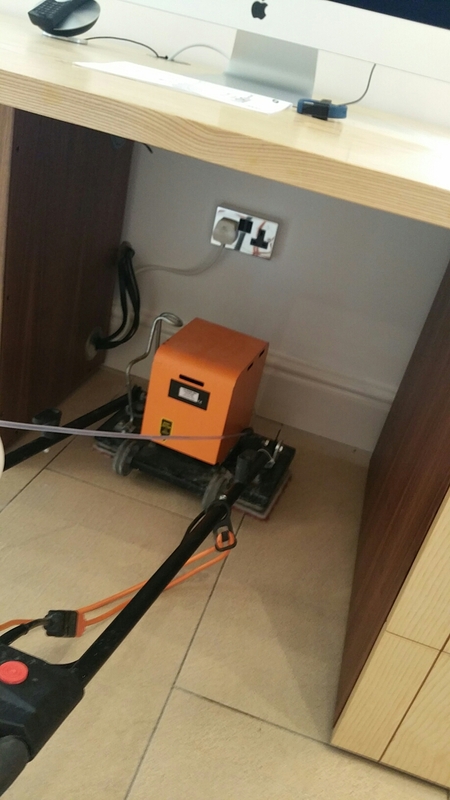 The customer was also left with the correct cleaner so the floor is maintained correctly and stays looking good for many years.